Hugh Glass - Biography, Son, What Was He Known For, How Did He Die? Chances are that you have probably seen the 2015 movie called The Revenant. In it, Leonardo DiCaprio played the character of a frontiersman who survived a vicious attack from a bear and gets abandoned by his colleagues, one of whom goes on to kill his son. Fuelled by the need for vengeance, DiCaprio manages to survive his grievous injuries and embarks on a quest for revenge. But did you know that this movie was inspired by a true life story of one man called Hugh Glass? 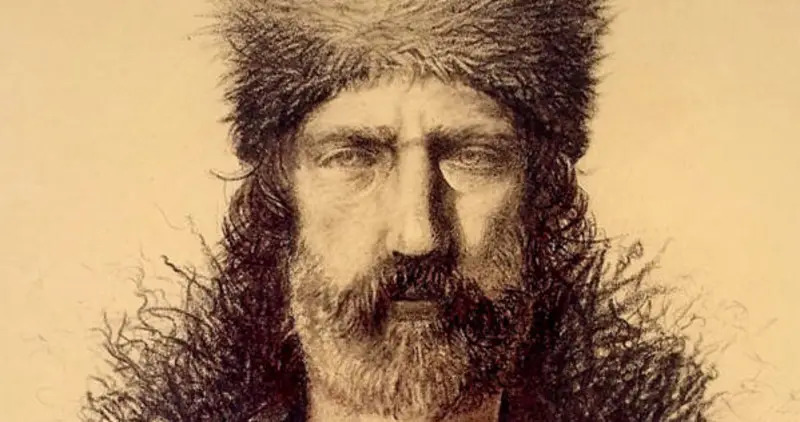 Hugh Glass was an American frontiersman, explorer, fur trader and hunter who is legendary for surviving a ferocious attack by a bloodthirsty grizzly bear and traveling over 300 km back to safety without any supplies, weapons and medical attention. His story has been made into two full-length movies including the award-winning The Revenant. It has also inspired several books. Find out more about this lionhearted man including his early life, his son, the infamous bear attack as well as how he finally died. Hugh Glass was born in the town of Scranton, Pennsylvania in 1783, his parents were Irish immigrants. Not much is known about Glass’ early life except that he worked as a sailor in his early thirties. Unfortunately, he was captured in the Gulf of Mexico by an infamous French pirate Jean Laffite who forced Glass to work for him. Hugh Glass worked for him for a period of two years before managing to escape to a town known as Galveston in Texas. However, it was not yet Uhuru for Glass as he was again captured by an Indian tribe called the Pawnee tribe. One account has it that the tribe almost used him for human sacrifice but his life was eventually spared. Hugh lived with them, learning how to hunt and track from them. He also reportedly married a Pawnee woman. His relationship with them was so cordial that by 1821 when a Pawnee delegation was sent to meet with government representatives, Glass was a part of this delegation. What was Hugh Glass Known for? Hugh glass is legendary for surviving a bear attack against all odds. After accompanying the Pawnee tribe to the government meeting in 1821, he decided not to go back with them. In 1822, a prominent figure in the fur-trading business, General William Henry Ashley, decided to set up a company that would not only scout the areas surrounding the River Missouri for animals and trap them for their furs but would also buy furs from local Indian tribes who hunted them. The company later became known as the Rocky Mountain Fur Company. To achieve his objective, General Henry put out an advert in several newspapers in the area calling for 100 men who would follow him on the expedition. Hugh Glass was not part of the original hundred but only joined the company in 1823. During the first hunting mission that Glass went on, the group was attacked by the Arikara Indian tribe but Glass managed to survive. The men returned to the nearest trading settlement known, as Fort Kiowa, where they restocked and set off on yet another mission. it was on this mission that Hugh Glass would suffer the infamous bear attack. In August 1823, Glass and his party returned on yet another mission. Part of Glass’ job description was to go out and hunt for meat that the other men would eat. On one of such occasion, he intruded upon a grizzly bear with her two cubs. Fuelled by the motherly instinct to protect her cubs from seeming danger, the angry bear pounced upon Glass and savagely tore into his body leaving him with several serious and bloody injuries on his legs, his scalp, his ribs, his throat and other parts of his body. Some accounts say that Hugh Glass singlehandedly killed the bear while others say that he killed the bear with the help of his colleagues. Whichever was the case, the fact was that at the end of the struggle, the bear was dead and Glass was in a sorry state. His colleagues did not expect him to survive but they however constructed a makeshift stretcher on which they carried him for two days. However, after two days, There was still no improvement in Glass’ condition and he was still barely alive. The group, which was still under threat of further attacks from the Arikara tribe, decided to leave Glass behind as he was slowing down their pace. Two men were nominated to stay back with Glass and bury him once he gave up the ghost. The two men were John Fitzgerald and Jim Bridger. They stayed with him for five days and when he still did not die or get any better, they decided to abandon him to his fate and return to Fort Kiowa. They also divided up his gun, knives and other weapons amongst themselves. But yet, Glass refused to die. he somehow regained consciousness and managed to take care of his wounds the best he could. He knew that his only chance of survival was to find a way back to Fort Kiowa which was a daunting 322 to 483 km away. Lesser men would have begged God to take their life but that was not Hugh Glass. He started the journey by crawling and when he got much better, walking. He continued on his foot until he came across a friendly Indian tribe who gave him a boat made out of animal skin (some account, however, said that he built the boat himself). With that boat, he made it to his destination. He survived by eating insects, wild animals, and berries. Exactly six weeks after he was left for dead, Hugh Glass walked into Fort Kiowa with exactly one thing on his mind and that was revenge. Hugh Glass stayed at Fort Kiowa until he fully recovered. Once he did, he set out to look for Fitzgerald and Bridger in order to take his pound of flesh. His preliminary inquiries revealed that the company was at Fort Henry, Yellowstone River. He got there but discovered that the company had moved on to another fort near the Bighorn River. When he got there, he confronted Jim Bridger. Bridger, who was only 19 at the time, trembled in the face of Glass’ anger. He showed remorse for his actions and Glass had no choice but to forgive the young man who had been led astray by the older Fitzgerald. He forgave him and counseled him to change for the better. Hugh Glass learned that Fitzgerald had joined the army and was stationed at Fort Atkinson. He continued his journey to that place. When he got there, he could not also carry out the revenge he wanted. Some say that he forgave Fitzgerald out of his own volition while others said he could not kill him due to the fact that Fitzgerald was a soldier in the US army and thus a government property. Whatever the true case was, Fitzgerald’s life was also spared and he returned Glass’ gun to him. Some account state that the Pawnee woman, whom Hugh got married to, bore him a son. Even the movie, The Revenant also toed this line. But there is no single piece of evidence to show that such a thing happened. To the best of our knowledge, Hugh Glass had no children up until he died. After the 1823 expedition, Hugh Glass continued going on various expeditions as a hunter, trapper and fur trader. it was a way of life that he was comfortable with. Hugh Glass died in 1833 following an attack by the Arikara tribe. A Sculpture depicting Hugh Glass and the infamous bear attack can be found near the site of that attack in the town of Lemmon, South Dakota.